Alongside traditional subscription publishing, authors are now offered a greater choice of open access (OA) options, including Green Open Access and Gold Open Access. The latter allows open access articles to be immediately available on ScienceDirect, Elsevier's extensive online database. Other new developments include the introduction of our Open Access Articles Program, now available in over 1,600 journals. What is the Open Access Articles Program? This Elsevier program gives authors a choice when publishing in a traditional subscription journal; they can either make their research available only to subscribers, or decide to publish open access. If they choose the open access route, upon publication the article will immediately be available to both subscribers and the wider public via our ScienceDirect platform. The article will also have additional user rights attached which govern how readers can use and reuse the article. Journals included in this program are also referred to in the industry as 'hybrids' as they publish both subscription and OA content. This means authors can continue to publish in indexed, quality journals important for their individual communities, while having the option to publish OA and comply with any new policies or mandates by their funding bodies or institutions. After acceptance, authors can indicate their publication preference and funding body information. The Open Access Articles option does not introduce any additional workload for editors or reviewers and has been introduced to give authors more publishing options. When publishing in a subscription journal, costs associated with publication and dissemination are covered by subscribers. When publishing OA, where readers can access the content for free, authors or their funders are asked to cover the costs associated with publication. This is referred to as an open access publishing fee. Elsevier publishes journals encompassing the full breadth of scientific research and the full range of research outcomes. As such, our OA publication fees reflect this diversity and range from US$500 to US$5,000. In some cases, funding bodies will reimburse these fees for authors. We recognize the potential conflict of interest when offering such a program in a subscription journal. We have a strict no-double-dipping policy and do not charge subscribers for OA content. Authors who choose to publish via our Open Access Articles program will also get a choice of user licenses. These determine how readers can use and reuse their articles. For further details about what this means for authors see our article Understanding the fine print: what changes when publishing open access? 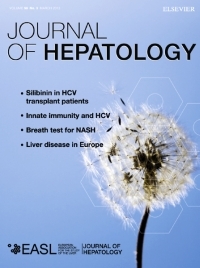 Open Access Articles is only one of a number of publishing options we offer our authors. We also have more than 35 open access journals where all articles are open access, as well as agreements with institutions regarding self-archiving in repositories. 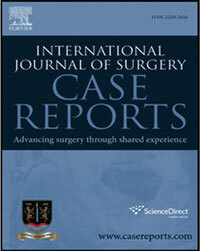 Our first open access journal, International Journal of Surgery Case Reports was launched in 2010. Since then we have used a test and learn approach and have been working with the community to help facilitate the successful implementation of OA. We hope that the Open Access Articles option available in over 1,600 journals will continue to give authors a choice in how their research is published. This article first appeared in Editors' Update. As Program Director Open Access, Els Bosma leads the open access program for the Science, Technology and Medicine (STM) Journal division at Elsevier. She is responsible for accelerating the roll out of the STM open access journal portfolio, which includes supporting the rapid expansion of OA journals and improved hybrid open access offerings. Els was a United Nations (FAO) Field Officer before moving into publishing with Elsevier 12 years ago. Since then she has been responsible for introducing and rolling out the Elsevier online submission systems, Vice President of Publishing and Marketing at Cell Press and Publishing Director for the Elsevier Chemistry portfolio. Els has a Master's in Marine Biology.